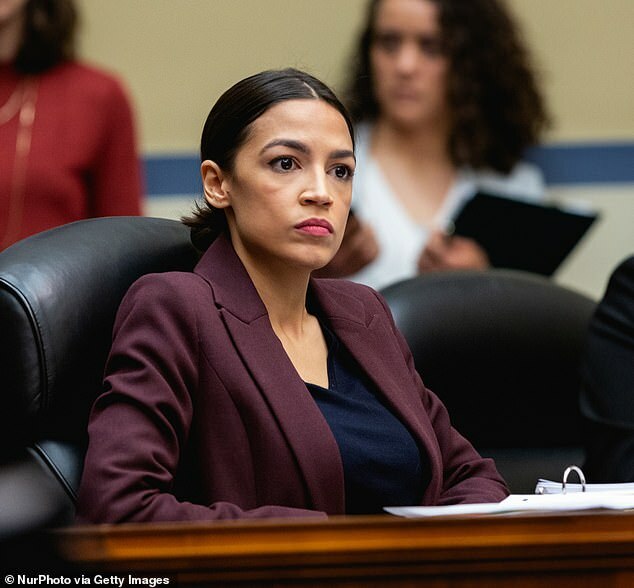 The Senate roundly rejected Rep. Alexandria Ocasio-Cortez’s Green New Deal as expected on Tuesday with not a single senator voting ‘yes’ for the progressive star’s signature policy initiative. Democrats slammed Senate Majority Leader Mitch McConnell for holding a ‘sham’ vote on the matter – it was a non-binding resolution, meaning it had no force of law, and needed 60 votes to advance in the legislative process, which was impossible given Democrats only have 47 votes in their corner. 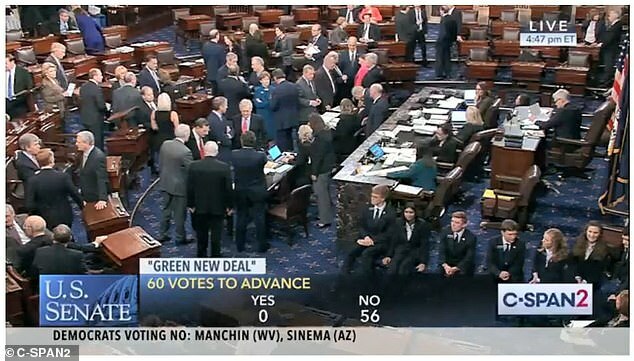 Most of the Democrats voted ‘present’ in protest while Democratic Sens. 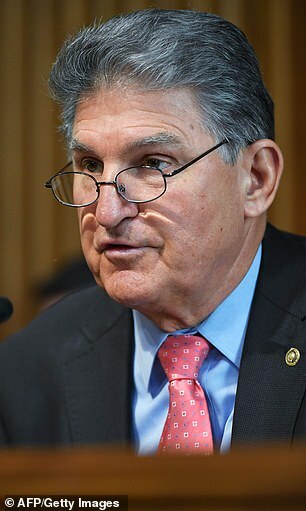 Joe Manchin, who represents the red state of West Virginia; Kyrsten Sinema of Arizona; and Doug Jones of Alabama voted no, as did Independent Sen. Angus King of Maine, who caucuses with Democrats. The final vote was 57 nays and 43 present. 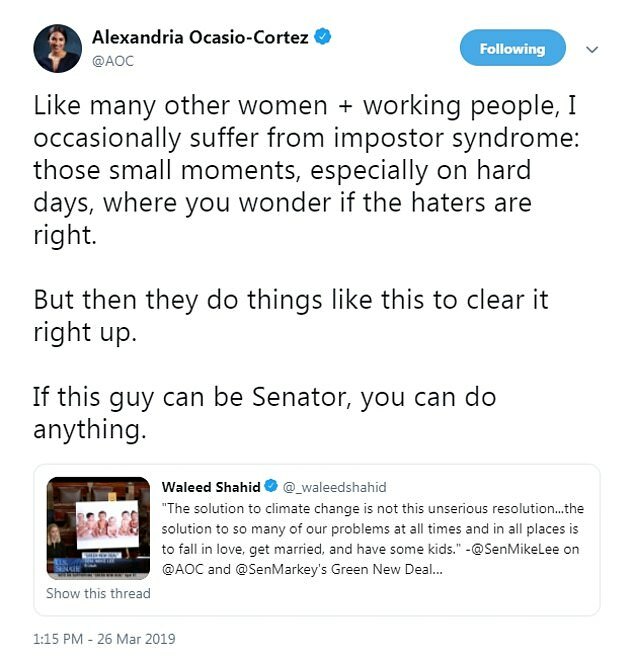 Ahead of the vote, Democrats and Republicans exchanged bitter words on the Senate floor while Ocasio-Cortez slammed the Republican senator who mocked her Green New Deal in a speech that used props and photos – including one of a Aquaman riding seahorse – to make his point. 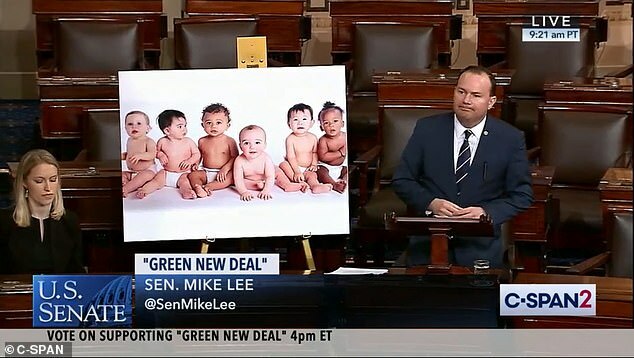 ‘If this guy can be Senator, you can do anything,’ she said via Twitter, retweeting a tweet with photos and comments from Sen. Mike Lee’s floor speech making fun of her signature program. 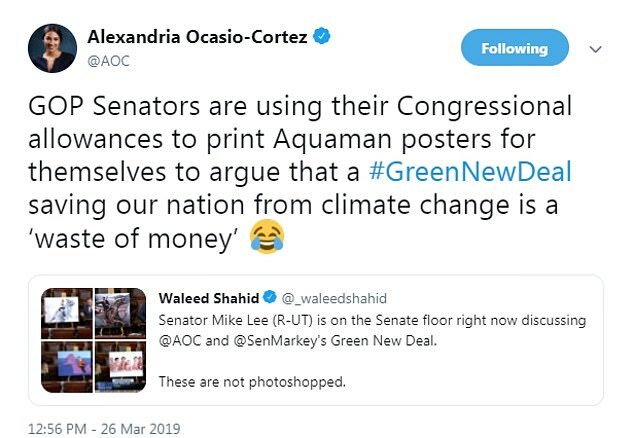 ‘GOP Senators are using their Congressional allowances to print Aquaman posters for themselves to argue that a #GreenNewDeal saving our nation from climate change is a ‘waste of money,” she also tweeted, adding an emoji of laughing face. 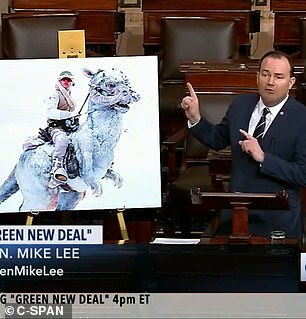 Lee, in a colorful speech, used a variety of photos to make his point, including Aquaman on a sea horse, Ronald Reagan and a dinosaur, a still from the ‘Star Wars’ franchise of Luke Skywalker riding a tauntaun, and cows. ‘After reading the Green New Deal I’m afraid of not being able to get through this speech with a straight face,’ he said as he began his remarks. 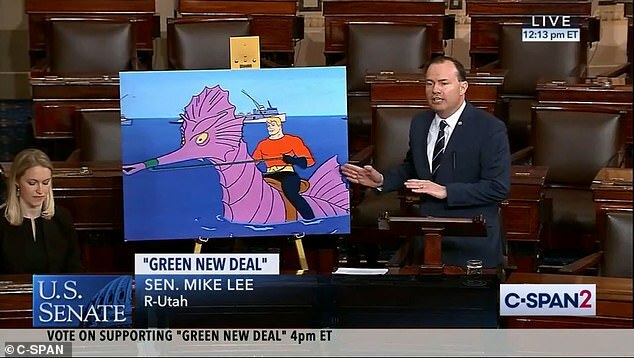 He claimed the Green New Deal wants to eliminate airplanes – a likely reference to its goal to end reliance on fossil fuels – and suggested states like Hawaii would have to use a fleet of sea horses to travel instead. 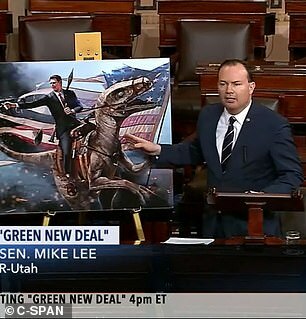 Lee claimed his floor speech which propelled him into a Twitter trending topic, was meant to illustrate how silly he believes the non-binding resolution to be. ‘The solution to climate change is not this unserious resolution we’re considering this week in the Senate but rather the serious solution to human flourishing. The solution to so many of our problems at all times and in all places is to fall in love, get married, and have some kids,’ he added.